Chinese telecom equipment provider Huawei and British carrier Vodafone have successfully completed the first 5G call in the world during an event in Spain, claim the two tech giants. In a press communication, Huawei claimed that the was transmitted over a dual “4G to 5G connection” at speeds which are eight times faster than the current 4G network speeds. 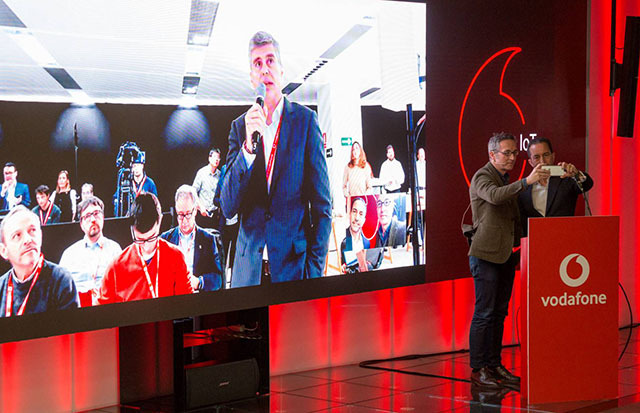 As reported in a press release, the call was made using a computer by Vodafone’s Director General Albert Buxadé from Barcelona and received in Madrid via mobile by José María Lassalle, the Spanish secretary of state for information, society and digital agenda. Huawei also conducted another test using a 5G data connection for a video call. The call was made using equipment compliant with the latest 3GPP-approved standards for 5G internet connection. The two companies deployed a “Non-Standalone” (NSA) 5G Radio while the connection reached speeds much higher than 2Gbps. This is a surprising development as it takes place in less than two months since the standards were first introduced. Although Verizon claims to have performed an “over-the-air” call using 5G New Radio (NR) system last week, Vodafone alleged that the telecom failed to match the latest standards by 3GPP while completing this call. Verizon used 5G network technology developed by Nokia and a 5G NR prototype chipset built by Qualcomm. As per Spanish publication El País, Non-Standalone standards utilize existing 4G infrastructure, and both cellular towers and terminals can establish dual 4G and 5G connections simultaneously. A few days ago, Vodafone and Huawei conducted a series of lab tests using a single traditional IP microwave link to throttle speeds of up to 2.7Gbps using 5G apparatus. The company now plans to test if it is possible to reach speeds of up to 4Gbps using a single link. 5G is seen as a critical link in the series of an interconnected world of artificially intelligent machines. Several telecom operators have promised to deploy the first 5G networks by fall this year while companies like Intel and Qualcomm are working hard to develop 5G chipsets for smartphones.